When a child or young person tells you that they have been abused, they may be feeling scared, angry, guilty, ashamed and powerless. You, in turn, may feel a sense of outrage, disgust, sadness, anger and sometimes disbelief. However, it is important for you to remain calm and in control of your feelings in order to reassure the child that something will be done to keep them safe. Listening carefully to what they are saying. Telling them you believe them. Telling them it is not their fault and they are not responsible for the abuse. Letting the child know that you will be contacting the appropriate authorities so that they can stop the abuse. Telling the child that you are pleased that they told you. Responding to your belief that abuse has occurred, or is occurring, can be the first important step in stopping the abuse and protecting the child from further harm. Take action. Call ChildLine (the child abuse hotline) immediately: 1-800-932-0313. If there are immediate safety concerns, also call 911. Children are vulnerable and dependent on adult care. 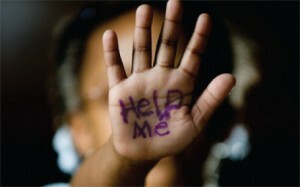 They are usually powerless to stop abuse and require adult assistance to intervene. It is important to remember that abusive or neglectful behavior on the part of a caregiver is reversible.